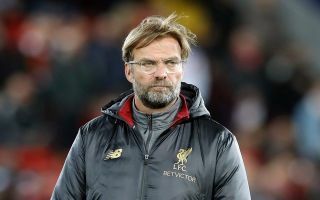 After being held to consecutive draws in the Premier League, Liverpool boss Jurgen Klopp will undoubtedly welcome any positive news this week. The Reds host Bournemouth at Anfield on Saturday afternoon as they look to get back to winning ways having won just two of their last six outings across all competitions. Their slip-ups in the league have allowed title rivals Manchester City to cut the gap to just three points, and so the pressure will undoubtedly be building on Liverpool to produce a positive response and get back on track as quickly as possible. In order to do that, Klopp will certainly be boosted by positive injury news, with the Reds squad taking a hit in recent weeks as they’ve been missing key individuals. As seen in the club’s tweet below ahead of their clash with West Ham United on Monday, midfield ace Jordan Henderson was ruled out with a muscle issue, while the club site offered an update on Trent Alexander-Arnold’s knee injury last week. According to The Telegraph, both could yet be in contention to face Bournemouth, although it’s added that they’ll have to get the green light by proving their fitness in training this week. With three more days before their next game, that should give the pair plenty of time to step up their respective recoveries, but the last thing all concerned will want is to risk a setback and a lengthier spell on the sidelines. In contrast, there seems to be a less positive outlook on Georginio Wijnaldum who was ruled out on Monday with a knee problem, as the Telegraph report adds that it’s unlikely he’ll feature this weekend, which will come as a real disappointment for Klopp given the important role the Dutchman has played thus far.